Docker allows us to execute Scala application. Here, we are creating a Scala file and executing that using the docker. This example includes the following steps. Create a directory to organize application files. Now, we are creating a Docker image of this Scala application. The following command is used to create Docker image. 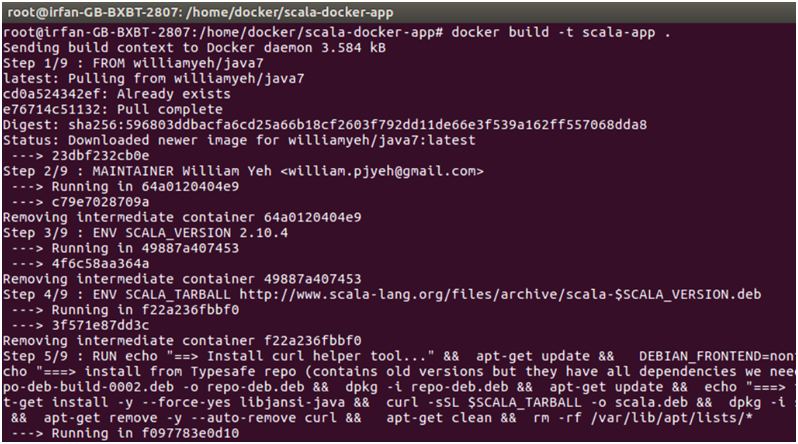 $ docker build -t scala-app .